A "rocket” in the school auditorium, music and dance on stage, butterflies, lions and princesses among the spectators, colourful decoration, self-crafted medals from the pre-schoolers and a great atmosphere - these are the heralds of Carnival celebrations in Windhoek. 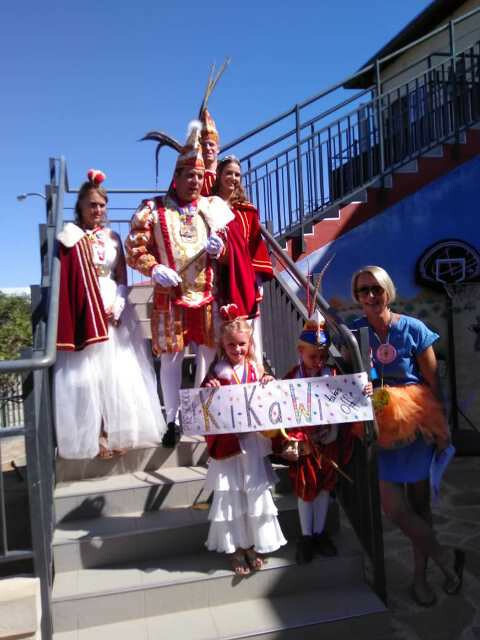 Of course, the royal couples of the WiKa (Windhoeker Karneval) also visited our children from the primary section, kindergarten and pre-school and were welcomed with music, a great spirit and some presents. This year’s carnival royal couples were impressed with the self-crafted carnival medals and great banners they received from the DHPS pre-schoolers. With loud music and dressed up for the event, the children danced themselves into a carnival mood. 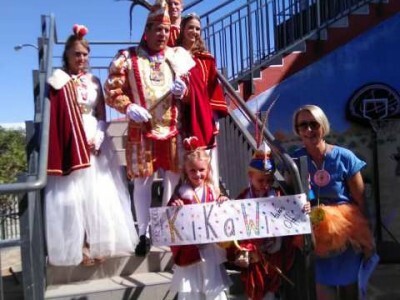 Also the kindergarten was busy for days with carnival celebrations, true to the motto “KiKaWi – Take off”. All groups had rehearsed and presented dances and songs on the topic of aviation. The visit of the prince and princess couples with their royal court topped it all, and the children were even rewarded with colourful sweets. We are especially proud of our KiKaWi Prince Thano (grade 2), youth carnival Prince Patrick Hess (Abitur graduate 2018) and the WiKa princess Kim, who is a DHPS alumni and Prince Gunnar, DHPS alumni and school parent. Thank you for your visit and "KiKaWi”- greetings!